Silver Beach Towers #905E! 2bd beach front condo!! New dining table & remodeled bathrooms! FREE beach service, pool, tennis, & grills! Silver Beach Towers is a very upscale beach front property located in the heart of Destin near the Track and Big Kahunas! This unique floor plan will have you enjoying every aspect of this condo. This unit features full gulf views from both bedrooms, private balcony, living room, dining area & kitchen. This condo had new tile put throughout as of December 2014! Also as of Fall of 2015 both bathrooms were remodeled. Don’t be left out while cooking, enjoy conversing with everyone else, as this beautiful open kitchen looks over the living room and dining room!! Convenience is everything while on vacation so Silver Beach Towers was sure to build these condos with private laundry rooms in each unit. The master bedroom is spacious and features a king size bed, gulf view, balcony access and a huge private master bathroom. Master bathroom includes a double vanity, soaking tub, stand alone shower and separate commode area. Store your luggage in the walk-in closet after you’ve unpacked. The guest bedroom is almost like another master suite! A king bed, gulf view and balcony access are sure to please whoever stays in this room. The guest bathroom is right outside the guest bathroom and features a standalone shower w/ bench seating inside. While you’re resting after a long day at the beach catch up on sports or weather on one of three TV's! This building is centrally located between the TRACK, Big Kahunas water park & very close to the popular Fat Daddy’s arcade! Tons of restaurants and shopping are close by too! Two couples both can enjoy gulf views from either bedroom. The private balcony has furniture so you can truly enjoy our emerald green waters and washer/dryer's are located in the condo for your convenience! Fun times are sure to be had shopping at the Destin Commons, Silver Sands Outlet Mall or one of the other dozens of other shopping centers, ride go carts and bumper boats at The Track, splash and slide at Big Kahunas water park, compete to see who gets the most tickets at Fat Daddy arcade, feed the crocodiles and enjoy lunch/dinner at Fudpuckers and water sports galore in Destin!!!! This unit rents Saturday to Saturday only with a 5 night minimum during Spring Break, Peak Summer, and Fall Break. Destin Beach Realty has been in business since 2003 and have been fine tuning our business ever since! We are very knowledgeable of the vacation rental industry having over 20 years combined experience in the business. We are located here in Sunny Destin and are ready to make sure your Destin Vacation is a memorable one, sure to have you wanting to return year, after year!! Have no fear that your vacation rental will be dirty or riddled with maintenance issues. We have very high cleaning standards and a fast turn around on maintenance. We are here to be sure you have a memorable stay along the Emerald Coast! Enjoy breathtaking views from both master bedrooms as well as the living room! A perfect beach location. A spectacular ocean view from not only the living room but also both bedrooms. These accommodations are close to restaurants and groceries. Thank you for taking the time to leave a review! We appreciate your feedback. I'm so glad that you enjoyed your stay. The view from this unit IS spectacular! Having all of the shops and restaurants nearby is a huge plus! We would love to have you stay with us again! Great short vacations, We will definitely come back! I'm so happy that you enjoyed your stay! We would love for you to stay with us again! Destin was the perfect plce to vacation! We were completely satisfied with our condo and Silver Beach Towers. Thank you for your feedback! 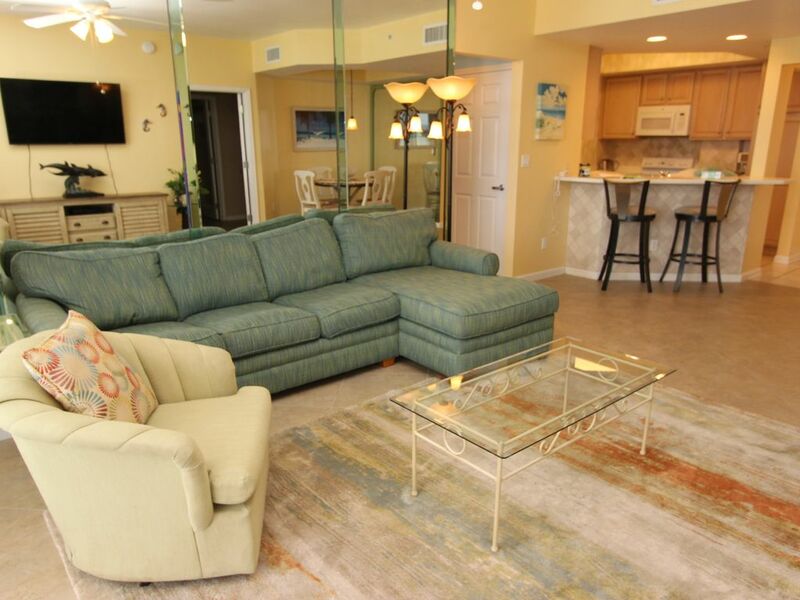 Silver Beach Towers is a great property to stay at and the unit is nice as well! We would love to have you stay with us again! We had a great First stay!! Beautiful Condo! Clean and vibrant, comfortable beds, breathtaking gulfview !! We will return!! *My only suggestion would be to have clearer instructions on how to reserve umbrella and chairs ahead of time....as we had to be on the back row the entire week. This condo was clean and had up-to-date bathrooms. The best part were the beautiful views of the ocean from the livingroom and both bedrooms. However, the mattresses, couch, and chairs were soft and felt like many, many people had used them. Every room had walls of mirrors as well, which felt very dated. The building was well-kept and in a great location! The views were beautiful. Condo had everything we needed. Loved the beach access and pool/hot tubs. We would stay here again. Tons of restaurants and shopping in Destin!